The requirements of the Eco Car project stipulate that Suzuki (and other companies in the project) will need to build at least 100,000 units per year from the fifth year of operation on. It is unlikely that Suzuki will be able to meet that target in the local market, so expect the small Suzuki to be exported once production starts. Details of the model to be produced have not yet been revealed, but we are over 2-years away from production. 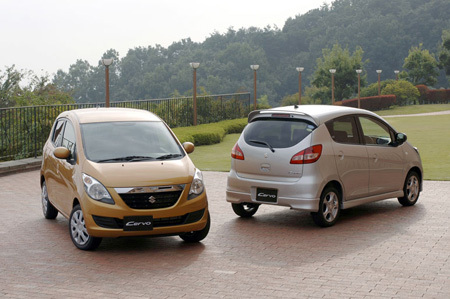 The Suzuki Cervo is one possible candidate, and with it's ~600 cc engine it should have no problems meeting the requirements. But Suzuki have some small concepts in the works any of which could potentially make it to market as an Eco Car.